Prof Dr Muhammad Shakeel Auj Victim of Zarb-e-Azb? 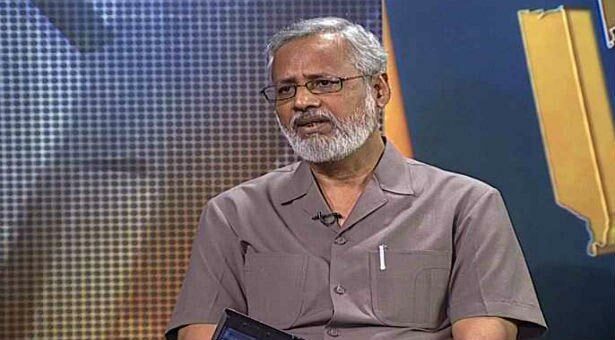 Has Prof Dr Muhammad Shakeel Auj become the latest victim of Zarb-e-Azb operations? No, he was not killed by a PAF airstrike, neither was his murder taken in retaliation for supporting Army operations against militants. Actually, while his killers are yet unknown, there is no reason to believe that the murder had anything to do with Zarb-e-Azb. And this is precisely the point. We are continually reminded of how successful Army’s anti-terrorist operation has been. News reports tell that hundreds of militants have been killed, certain areas in Fata have been cleared, and grandiose statements are made about terrorists being ‘on the run’ and their capability for attacks being ‘neutralised’. But has Zarb-e-Azb actually reduced the threat of terrorism, or has it only changed our definition of terrorism? It is true that there has not been a major suicide bombing of a mosque or market since some time, but to suggest that this means we are free of terrorism is like saying that because you are not bleeding you are not ill. Suicide bombings are a symptom, not the disease. In all likelihood, Dr Muhammad Shakeel Auj’s murder was a political act. Not the politics of political parties, but the politics of religion, which has become in many ways far more powerful than the politics of parties. An act of political violence is, by definition, an act of terrorism. The dangers is that Army’s grand statements and images from Zarb-e-Azb have made us forget that this, too, is terrorism, and these terrorists are continuing to operate with impunity in our country. The sad truth is that Zarb-e-Azb is not going to rid the nation of the cancer of terrorism unless the Army changes its strategy to target not only the militant camps but the militant mindset. Military operations are necessary, but they are not sufficient. Dr Muhammad Shakeel Auj was not killed as part of Zarb-e-Azb, but if we allow that to convince us that his killing was not an act of terrorism, he will be its victim just the same. This entry was posted in Blogs and tagged Dr Muhammad Shakeel Auj, terrorism, Zarb-e-Azb by Mahmood Adeel. Bookmark the permalink.